PATNA: Bihar chief minister Nitish Kumar is facing a tough task to ensure JD-U candidate Vijay Kumar Manjhi’s win on the Gaya seat as none other than Jitan Ram Manjhi, whom he had made CM in 2014, has thrown his hat in the ring, on ticket of his own party Hindustani Awam Morcha (HAM), a constituent of the Grand Alliance. The contest is turning out to be a fierce electoral battle between NDA and Grand Alliance as both are leaving no stones unturned to ensure their victory on the prestigious seat. The weight the JD-U is throwing on the Gaya seat is evident from the fact that Prime Minister Narendra Modi kicked off NDA’s campaign for Lok Sabha elections in the state from there. Back in 2014, Mr Kumar had in a surprise move resigned as the chief minister after his party JD-U fared poorly in the Lok Sabha elections. He then splashed another surprise by making Jitan Ram Manjhi, the new CM in his place. 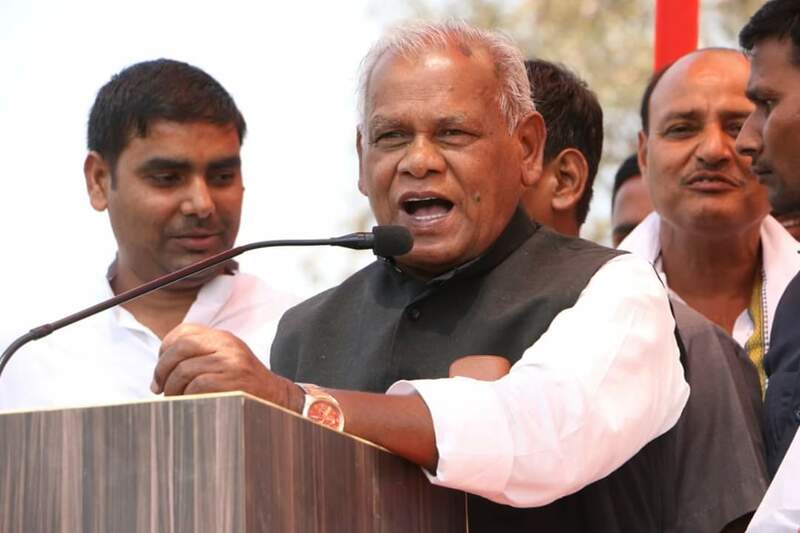 Manjhi was a relatively low profile minister in his cabinet and his choice as CM by Kumar had upset not only political pundits but also his close confidants as some of them were also in race for top post of the state. Kumar, known for springing surprises was got caught off-guard, when Manjhi whom he had considered as his trusted lieutenant, started to move out from his shadow within four months of becoming CM and even made statements to belittle his authority and political clout in the state. Facing a political threat from his protégé, Kumar initiated serious discussion in his party at top level and even called the then JD-U president Sharad Yadav from New Delhi to ensure his smooth removal from the post of CM. Kumar did not hesitate in seeking support of RJD chief Lalu Prasad to achieve Manjhi’s exit, even though JD-U and RJD had not entered into any alliance then. Prasad warmly responded to the call of Kumar and solidly supported him both in Assembly and outside which made it difficult for Manjhi to continue as CM and he had ultimately resigned on February 20, 2015. Kumar became Chief Minister again and RJD continued to support him in running his government smoothly and both JD-U and RJD formally joined hands which led to creation of Grand Alliance with Congress as another important partner. JD-U, RJD and Congress stitched Grand Alliance before 2015 Bihar Assembly elections with Nitish Kumar as CM candidate and the alliance registered impressive victory in the electoral battle. RJD won 81 seats, JD-U won 70 seats and Congress bagged 27 seats in the 2015 Bihar Assembly elections. Kumar, leading the Grand Alliance government, faced tough challenges to carry on with RJD as the party leaders continued to create troubles for him off and on while Congress did not bother to pay any heed to his request when he sought its help to check such activities of RJD.